Korea's banks rely heavily on matchmaking as a way of attracting well-heeled private customers. 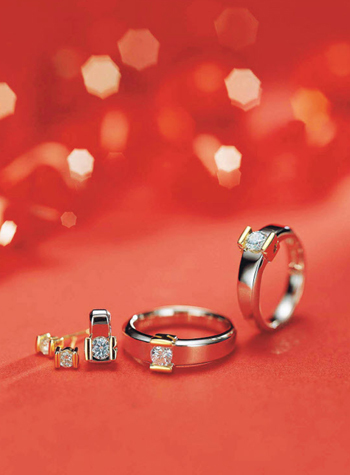 This lunar year is especially propitious for tying the knot as it covers two spring equinoxes, and banks are organizing singles parties to help children of wealthy customers meet their perfect match. If they do, bank executives even officiate at the wedding. Traditional lore has it that couples who get married in lunar years with two first days of spring live happily ever after. The Year of the Dog started on Jan. 29, 2006 and ends on Feb. 17, 2007, and that means it includes the first day of lunar spring on Feb. 4 this year and the next on Feb. 4, 2007. The reason is that July is a leap month correcting the shortfall in lunar days and bringing the number of its days to 385, which happened just 12 times in the last 2,300 years. Shinhan Bank recently hired Kim Hee-kyung (40) as the head of its private banking business. Kim has been a flight attendant with Korean Air -- and a manager with matchmaking firm Duo. The bank was clear that it wanted not a financial wizard but a matchmaking professional to meet demand from wealthy customers. Kim says she plans to visit customers' homes to find out more about how they live and then arrange private meetings between those who are mostly likely to make a good match. "I'm already getting lots of phone calls from customers," Kim says. Hana Bank says one the secrets of its private banking business' success is the matchmaking parties it has been holding every May for the last seven years. The bank invites some 100 children of its most prized customers to a demure knees-up featuring dancing and a magic show. Last year's total result was two couples, one of them getting married on April 12 with the bank's vice president Kim Jin-seong officiating at the wedding. Woori Bank is waiting till the year's second wedding season in autumn to arrange a match-making meeting for some 100 of their rich customers' offspring. Korea Exchange Bank will encourage its VIP customers to sign up for a "wedding plaza" program, where their children can see each other's profile and choose a mate, financial compatibility guaranteed. 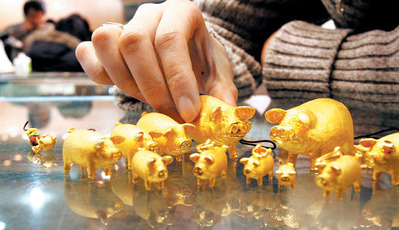 Why Do We Still Look Forward to the Year of the Golden Pig?